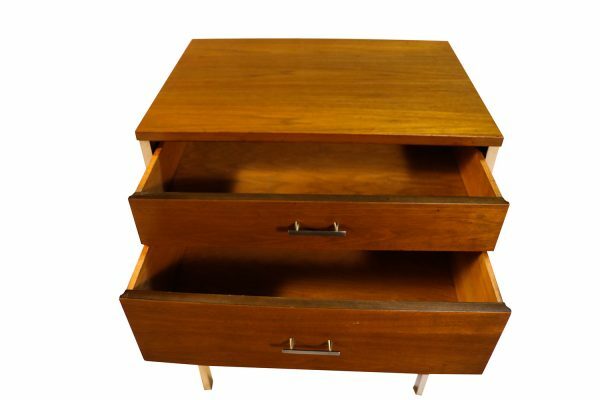 Handsome, classic, Mid-century, four drawer walnut dresser. 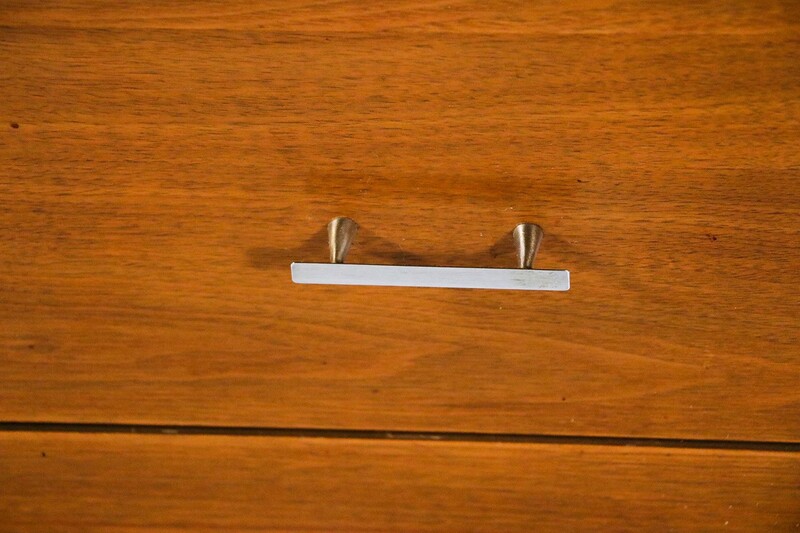 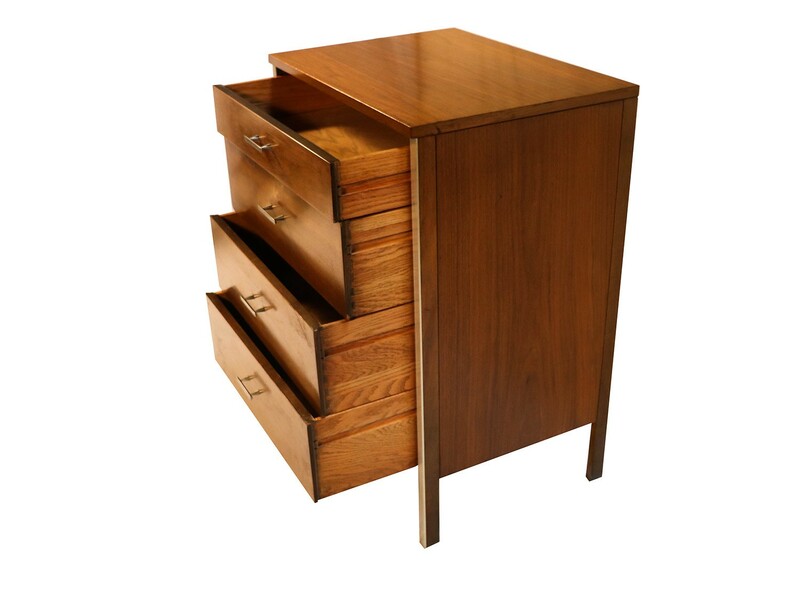 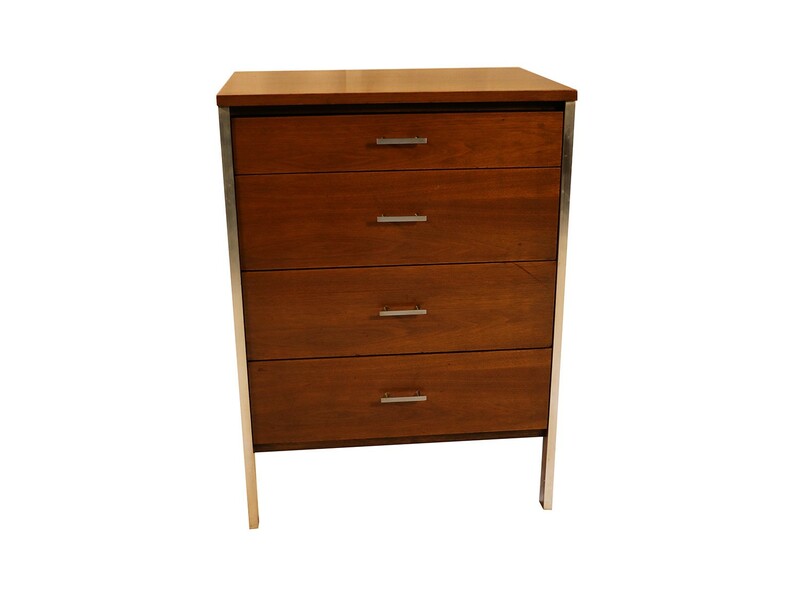 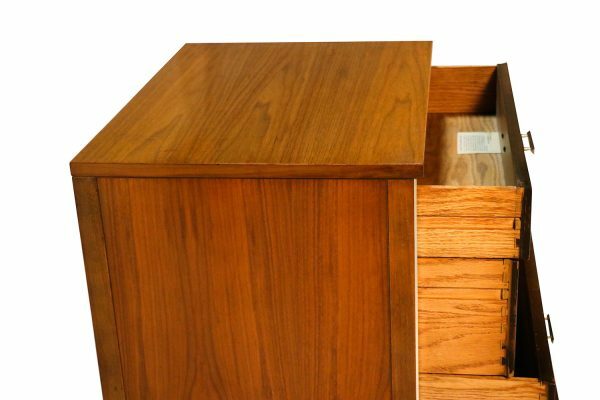 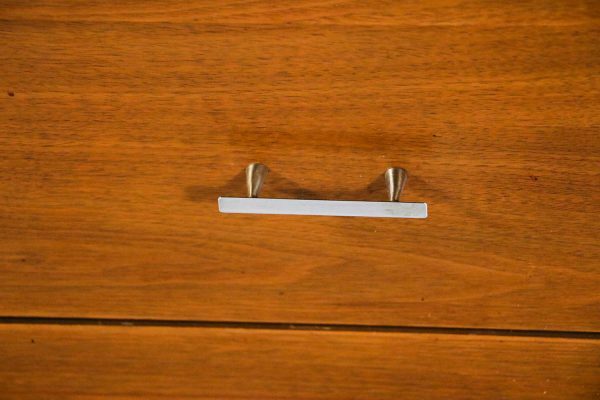 Aluminum trim and pull accents emphasize designer, Paul McCobb’s, clean, modern lines and the dresser’s beautiful walnut grain. 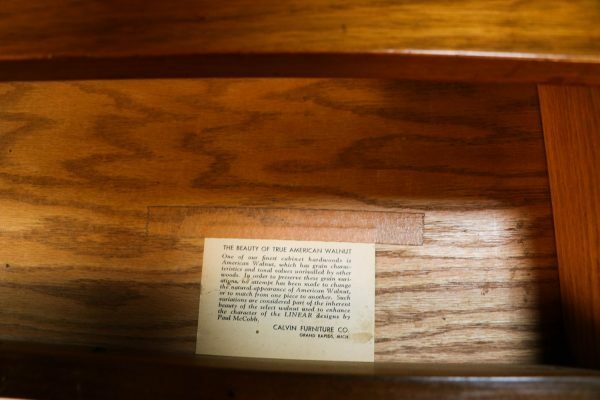 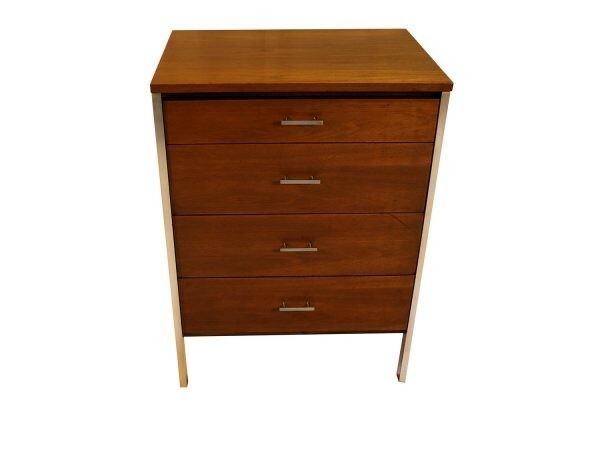 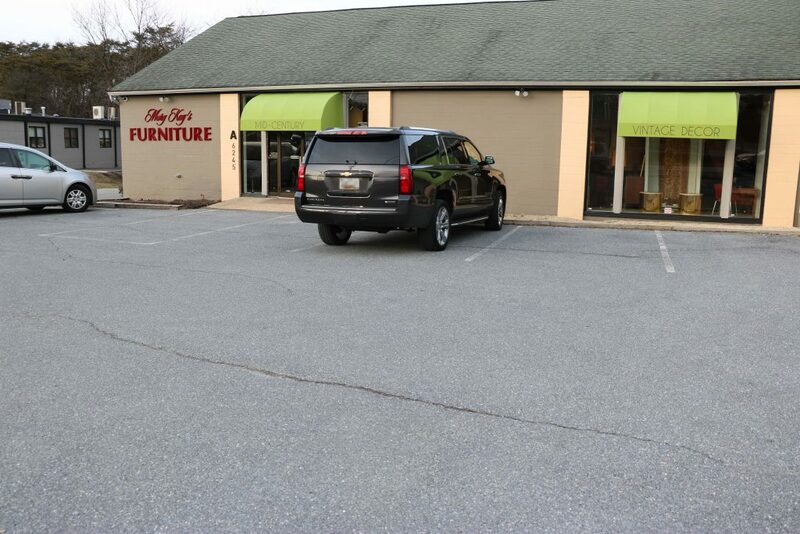 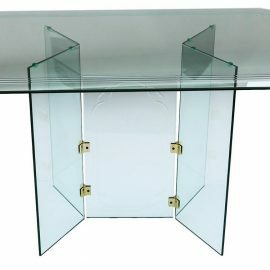 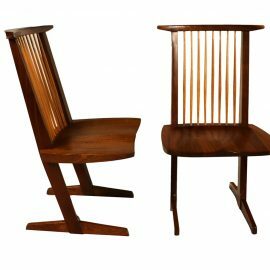 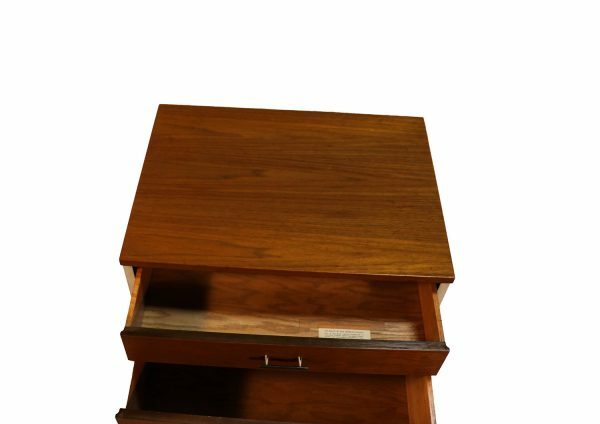 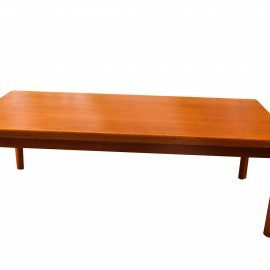 Manufactured by Calvin Furniture, in good, all original condition, a 1950’s beauty, very well crafted. 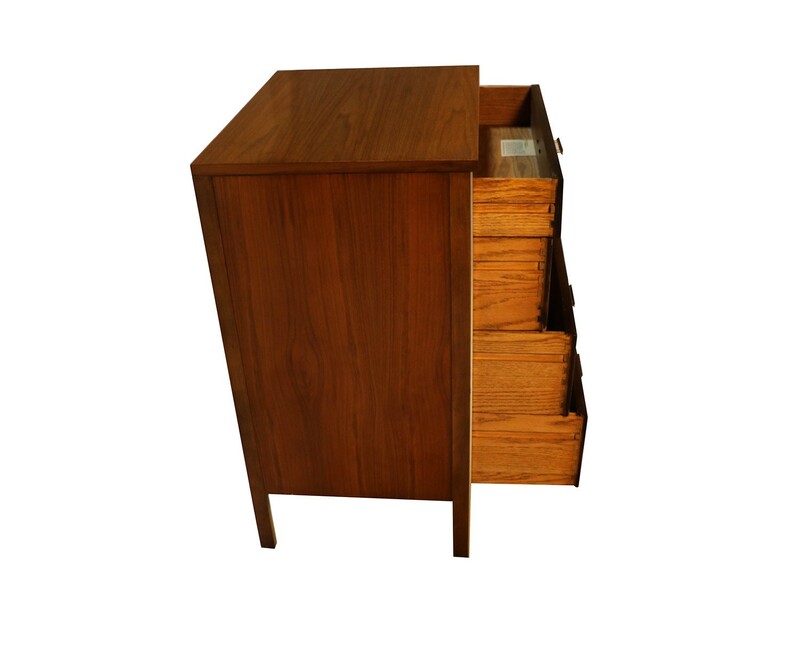 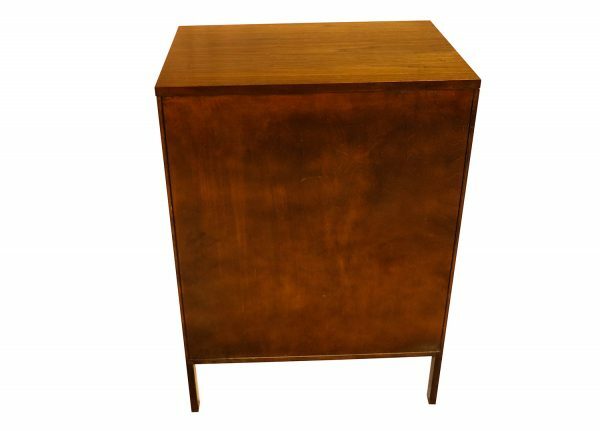 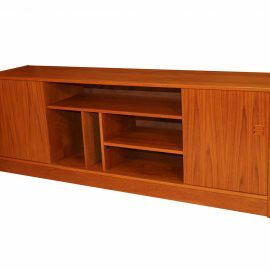 Rare vintage Danish teak media center credenza designed by Jesper International of Denmark features spacious, open storage shelving in the center flanked by cabinet space to the left and right.